When I buy fabric for my bags I order a yard or less of the majority of them. 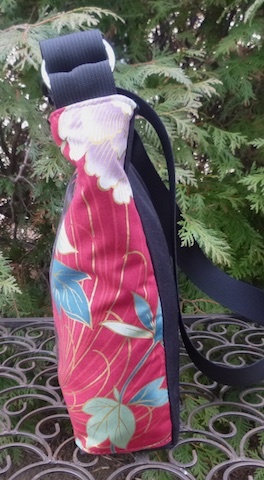 Once I have used a fabric I don’t reorder it unless it has become a part of my line. Some of the sheep fabrics for my knitting bags, or the classic books print which is so popular, are in the “keep in stock” category. Buying in such a small amount allows me to offer a large selection for my customers and it also provides me with a way to offer one of a kind bags. 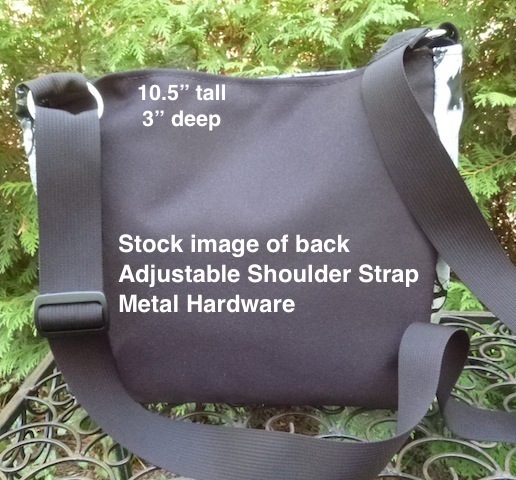 With just about everything mass produced these days I think it’s a real treat for my customers to not only own a one of a kind bag but to be able to give one as a gift. This Tootsie purse fit the one of a kind category big time! I only purchased a half a yard of this print. My plan was to use it for one of my sets of bags to hold Mahjong equipment. When it arrived I discovered the motif was too large and not positioned on the fabric in a way that would work on those bags. 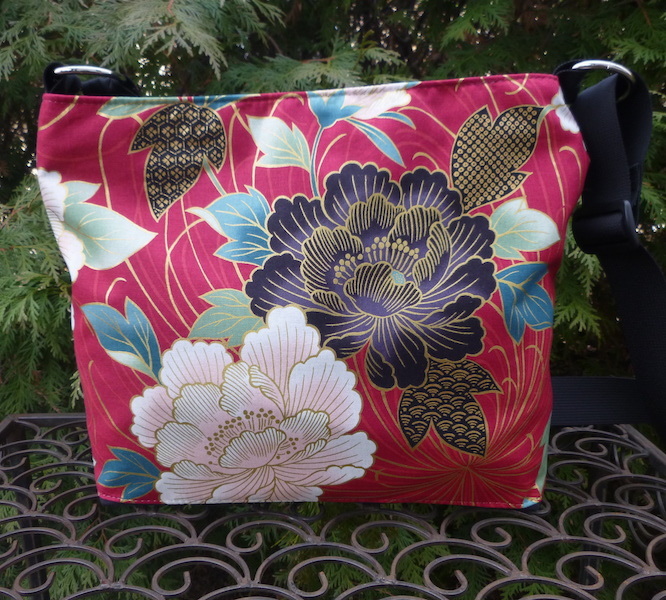 There was only one section of the print like this and I immediately knew that it would fit well on a bag like the Tootsie or the Tallullah (the same bag but with a magnetic closure instead of a zipper). Voila! A one of kind purse is created. 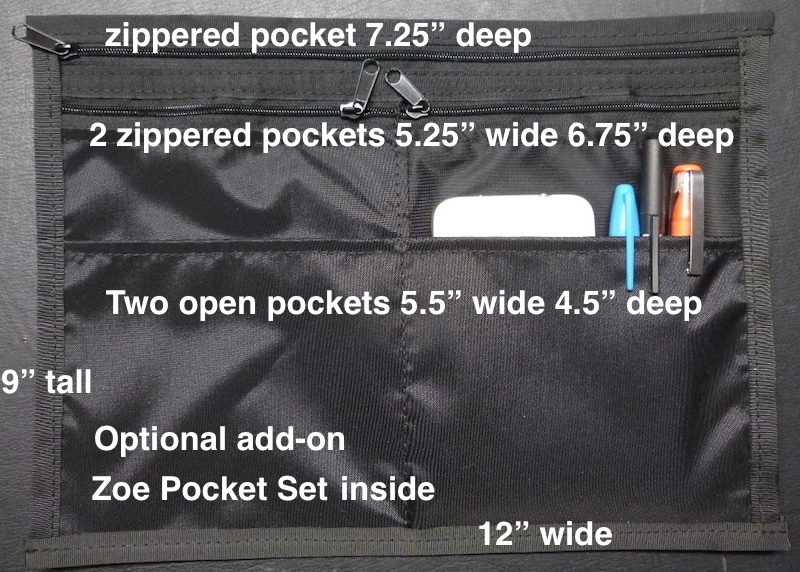 The Zoe Pocket Set is inside this bag to assist in all your efforts to organize the contents of your purse.